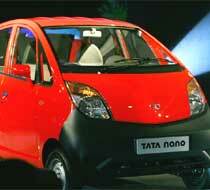 Three Tata Motors' Nano cars have caught fire since September this year. The 600 cc ultra low cost car was available for delivery from April and till date around 7500 units of the Nano were sold. While a local TV channel reported that the Nano caught fire, a Tata Motors spokesperson denied there was any such incidence. "We do not accept that there was fire in our cars. However, we do agree that there was an incident of short circuiting around the combination switch placed inside the car. This led to localised melting of the fire retardant material used in the car which led to smoke being generated." Tata Motors says the car which faced short circuiting has been repaired and handed back to the owner in Ahmedabad. There has been no recall of Nano cars as reported by the TV channel. There were two more incidents of smoking due to short circuiting in the Nano in Lucknow and Delhi.